I hope you’re having a great week so far. I’m writing this letter to you while sitting on the beach in my Miami in my hot pink bikini. The sun feels amazing on my skin! I’m staying in an adorable Airbnb across the street from my business mastermind location and couldn’t be happier with my accommodations. I’ve been having a lot of conversations lately with women about their difficulties with online dating. As a love and dating expert, I believe you can meet anyone anywhere. However, it’s also my duty to be REAL with you and let you know that in today’s world where everyone is busy, if you’re serious about wanting to date, THIS IS WHERE PEOPLE ARE. PERIOD. Also, the internet allows us to have access to SO MANY PEOPLE that you would otherwise never meet. So why not give it a shot? So, whether you’re curious about trying online dating or have been let down in the past by it and nervous about diving in again, I’ve created something that you’re going to LOVE. Tired of feeling stressed out, frustrated, and disappointed with online-dating, but don’t know what to do about it? Feeling exhausted by and disillusioned with consumerist nature of digital dating culture, but not yet ready to give up on love? You’d be thrilled to make a meaningful connection with someone, but you’d had SO MANY bad experiences online that you’re worried you’re getting jaded and cynical. I HEAR YOU. And, you’re not alone! If any of this resonates, I warmly invite you to attend my FREE ONLINE CLASS, “From Frustrated to FIREWORKS: How to Make Online-Dating Less Stressful and More Fun”, on Thursday, December 15th at 9pm EST/6pm PST. the TOP 3 things you need to start doing now to start attracting the high-quality men/women online that are on the same page as you - no more drama or games! Come prepared with your most burning questions around this topic as we will have time for Q & A at the end of the call. I can’t wait to connect with you! Dating doesn’t have to be stressful or depressing. Let me show you another way that is more joyful and empowering. I am so excited to share this information with you! P.S. Have you joined my FB group, “The Creative Living Revolution” yet? 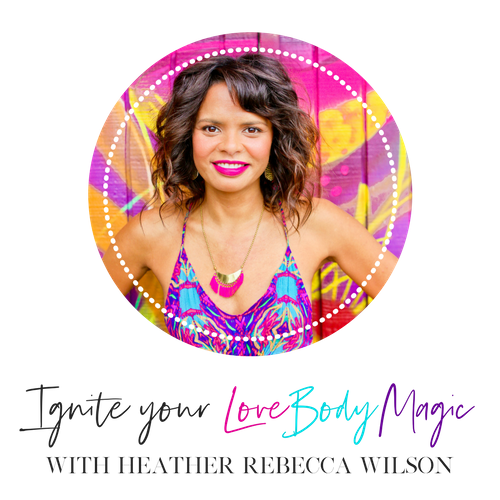 It’s the place to be for high-achieving, conscious women who are done settling and instead want to activate their “creative genius” to attract the love they desire. Stop by and say hi here. Is Not Having Been Married, Engaged, or Kids by 40 a “Red Flag”?